First Things First, Can you tell readers about yourself and your first novel Dark Inside? Sure. I’m Jeyn Roberts. I’m an avid traveller, lover of outdoors, hiking, kayaking, camping, etc. I play guitar and used to sing in a band. I’m also an animal lover and have three cats: Lucy, Dexter and Hera. Dark Inside is the story of four different teenagers as they travel across North America to find each other when life as we know it ends. Earthquakes rock the world, bringing forth an evil that gets inside people, accessing their darkest thoughts. People turn instantly into crazed killers and no one is safe. What was it like when you first saw and held your book in your hands? I’ve always been a writer. Yes, I know that’s a cliché in itself but I really have been. 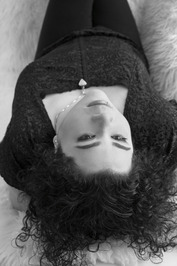 I remember writing novels at eleven. I finished my first book at sixteen. It was terrible. Of course there have been struggles. Being a writer is hard. There’s a lot of rejection and you have to have a thick skin to handle all of it. You have to be determined to keep going, no matter what. I don’t think so. I like to write in a variety of styles. The last thing I want to be is stagnant. Currently I’m working on something that is first person present. Dark Inside is third person. I like to try everything at least once. Everywhere I can find it. Most of Dark Inside came from a dream. The ending came from a series of long walks through South Korea because I was stuck and didn’t know how to end it. I use walking a lot for inspiration. Especially hiking through the mountains in BC—I always seem to figure something out when I’m playing around in the trees. I loved reading Dark Inside and following the lives of Mason, Aries, Clementine, and Michael will we see a sequel? Absolutely. The sequel to Dark Inside will be released in the spring. I’m currently finishing up the final edits for it. 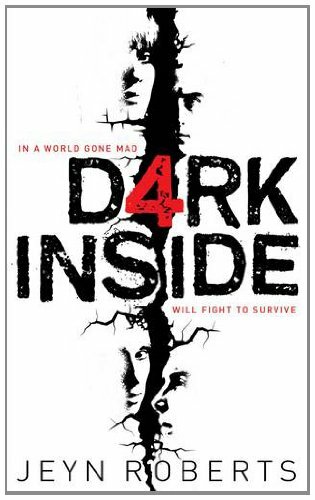 The UK Front Cover of Dark Inside is amazing who designed it? I agree! I love it. You can thank James Annal, Art & Design Director, Pan Macmillan. He’s the mastermind behind the beautiful cover. Do you have any advice for aspiring authors? Be true to yourself. Love what you’re doing and keep doing it. Don’t give up. Writing is subjective and rejection is part of the process. Listen to others. Be open to criticism. We get so involved in our own stories and we don’t always see our mistakes. It always helps to have a second pair of eyes. Night Owl or Early Bird? Night Owl. Colour? Depends on the day. Today it’s blue. Random Fact? Once had a line in the movie Future Sport although it didn’t make it past the cutting room floor. But you can still see me in several scenes as an extra. VOTE for Dark Inside in the Teen Choice Book of the year HERE When on the page follow the instructions and show your support!! I'd like to thank Jeyn for taking out the time and answering some questions for Reading A Little Bit of Everything! :) I know Readers really appreciate it. That is an amazing cover. As I look at it I keep seeing more things revealed.